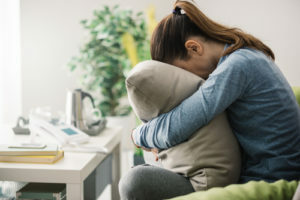 Emotional distress is one of the most difficult problems someone can encounter in life because they witnessed an extreme event that caused injury or even death to a loved one or someone else close to you. Emotional distress can be self-guilt, anxiety, depression, post-traumatic stress disorder and suicidal thoughts. The harm is typically caused by an intentional or accidental injury. These cases are easier to win when actual harm is physically caused to the victim since the courts will be able to see the injury, unlike suffering from one that’s emotional. Working in the construction industry can be incredibly dangerous. Even the strongest of safety policies might not be able to prevent a tragic accident involving you or one of your co-workers. That’s why it’s important to always wear your personal protective equipment (PPE) at all times on the construction site. This equipment should include a hard hat, goggles, steel-toed boots, gloves, a harness and many other pieces depending on the actual job you work on the site. It’s important to note that victims of these types of events are separated into two groups: the fragile class and the eggshell plaintiffs. The fragile class is made up of those who are children, pregnant women, and the elderly. The fragile class most often succeeds in lawsuits of this kind. The eggshell plaintiffs include people who are usually fragile and unusually sensitive in everyday life. This group will have difficulty winning such a lawsuit. When it comes to proving a claim of emotional distress caused by a construction accident you should be able to do this much easier than other types of emotional distress claims. The reasoning here is that there will be plenty of substantial evidence to support your claim than just documentation from your doctors that you’ve been diagnosed with an emotional injury, have received treatment, and will be receiving ongoing treatment for said injury. There will also be an accident report from the construction site, interviews with witnesses, your witness testimony, testimony from first responders, an accident report from the Occupational Safety and Health Administration (OSHA) and more. You will also need to show that the defendant’s behavior in such a case was outrageous and extreme and that said behavior caused you to suffer the physical and emotional injuries. At the same time, you will need to prove that another reasonable person in the same place as the plaintiff would have viewed the defendant’s behavior as outrageous and extreme. Did you or a loved one sustain serious injuries due to emotional distress from a construction accident in New Jersey? Don’t let the medical bills pile up while you wait for the negligent party, or their insurance company, to do the right thing. Right now, you need an aggressive personal injury attorney on your side fighting to get you the compensation you need, want, and deserve. The skilled attorneys at CourtLaw represent clients with emotional distress because of construction accidents in Newark, Jersey City, Elizabeth, Trenton, and throughout New Jersey. Call (732) 442-5900 or email us to schedule a free consultation about your case. We have an office conveniently located at 163 Market Street, Perth Amboy, NJ 08861, as well as offices in New Brunswick, Roselle, East Orange, Jersey City, Elizabeth, Linden, Newark, Paterson, South Amboy, and Trenton, NJ.